We are going to try a new recipe today. Kalacs (Hungarian Cinnamon Swirl Bread) seemed appropriate given the well-known story of St. Elisabeth and the miracle of the bread turned to roses. You can read some more ideas for celebrating this Queen of the Poor over at Catholic Culture. You can also download this lovely tourist pamphlet of her birthplace for a little history/geography lesson. Oh, and you can find a coloring page here. 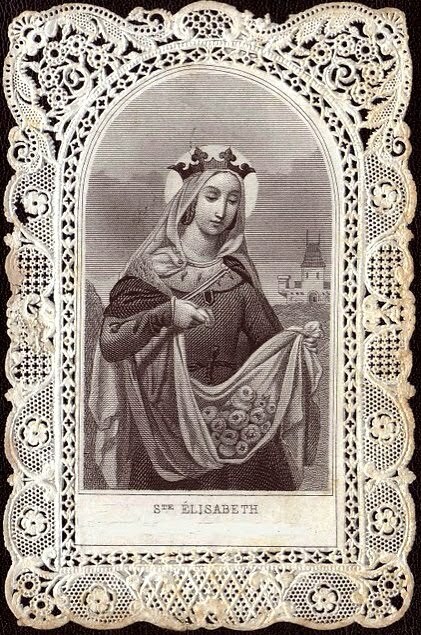 st. elizabeth is my rose's patron saint, also. 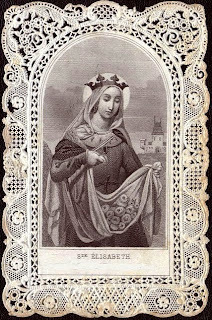 it was Divine providence that i named rose a nickname of st. elizabeth. we didn't find this out until she already adopted her for her patron saint. thanks for sharing the links. i will be sure to print them for rose. we will be celebrating on the traditional feast day, Nov. 19. Also my patron saint -- and such an appropriate one for my station in life, I can't help but love her! Thanks for the celebration ideas! We'll celebrate on the 19th, too.